What are the socio-environmental conflicts in the world? Home » News » What are the socio-environmental conflicts in the world? Environmental Justice Atlas (EJAtlas) is a map created by researchers from UAB’s Institute of Environmental Science and Technology with 2,100 cases of environmental conflicts in different parts of the world. 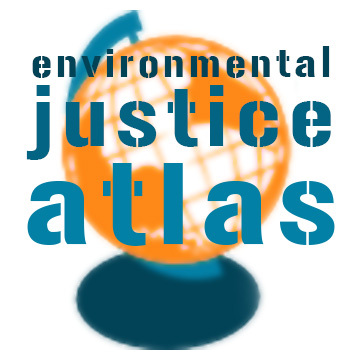 Environmental Justice Atlas (EJAtlas) currently shows 2,100 active socio-environmental conflicts in the world. According to the map, India is the country that has the largest number of conflicts, followed by an increase in conflicts registered in China, Bangladesh, Pakistan, Indonesia, Egypt and Ethiopia. The EJ-Atlas was launched in 2012 by Leah Temper and Joan Martínez-Alier, coordinated by Daniela Del Bene. This map’s purpose is to register the environmental conflicts that occur in the world, defined as mobilization of local communities and social movements against economic activities and infrastructure construction that have a negative impact on the environment. The cases identified in the interactive atlas are identified by a factsheet of five or six pages each. Due to its range of filters, this world map allows to see which conflicts have higher and lower seriousness. Conflicts are divided into ten different categories: nuclear, mineral extraction, waste management, land conflicts, climate justice and fossil energies, water management, infrastructure, tourism, biodiversity conservation conflicts, and conflicts of public and industrial services. Most of the conflicts have been generated to meet the demands of the richest segments of the world population. However, the consumption of the rich causes ecological violence on the poor, according to the atlas. During the 80s, environmental justice appeared for the first time as a slogan in Latin and African American communities in the US. These collectives mobilised against the injustices perpetrated in their communities by polluting industries. Subsequently, it has become a movement that has acquired a global dimension. The initiative was created by the Institute of Science and Technology of the Autonomous University of Barcelona. In 2016, Professor Martinez-Alier received an Advanced Grant of two million euro (approximately £1,738,399.58) from the European Research Council, to continue the initiative until 2021. So far, 260 cases have been registered in which environmental advocates have died —more than 12% of the registered—, and most of them concentrated in Latin America and Southeast Asia. To date, EJAtlas has recorded 55 environmental conflicts, information provided by Ecologistes en Acció (Ecologists in Action) and other environmental organizations. Most environmental conflicts in Spain are related to waste disposal or public works and tourism infrastructure, as well as nuclear power plants.